Indian director, actor, producer and screenwriter who initially gained fame for his directorial work on acclaimed films like 1982's Arth, 1984's Saaransh and 1985's Janam. He is the winner of numerous industry honors, including Filmfare Awards for Best Director, Best Actor and Best Villain. He attended Don Bosco High School in Matunga and got his start in the film industry as an assistant to director Raj Khosla. He has been an ardent follower of the teachings of U.G. Krishnamurti and wrote the philosopher's biography in 1992. 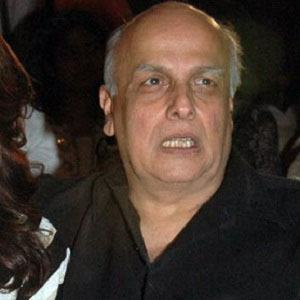 He married Lorraine Bright age twenty and had two children, actors Rahul Bhatt and Pooja Bhatt, with her. After their divorce, he got remarried to actress and director Soni Razdan, with whom he has daughters named Shaheen Bhatt and Alia Bhatt. He directed actress Sonali Bendre in the 1998 drama Zakhm.